First up – a fantastic sock yarn from Tempted Yarns, Good Grrl in colorway Foliage. The photo does not do justice to the rich brown, aubergine, and olive green in this yarn. I tried several patterns and nothing really showed off the yarn well so I finally opted for a simple cabled sock. The first one was finished today, and the second one was immediately cast on. These will get a lot of wear. 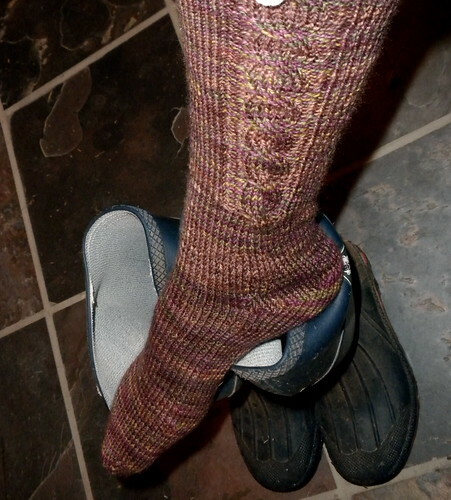 And secondly – I’ve finally taken a photo of the first Rivendell sock, using MadTosh sock yarn in colorway Blush. This time the pattern was fantastic but the yarn, although lovely, was wrong. I’ll cast on the second when I finish the current sock on the needles (see above) but really want to find some solid yarn for this pattern. I love this pattern. Meanwhile, this afternoon I was in the studio dyeing up the February offerings of hand-dyed lace yarns. 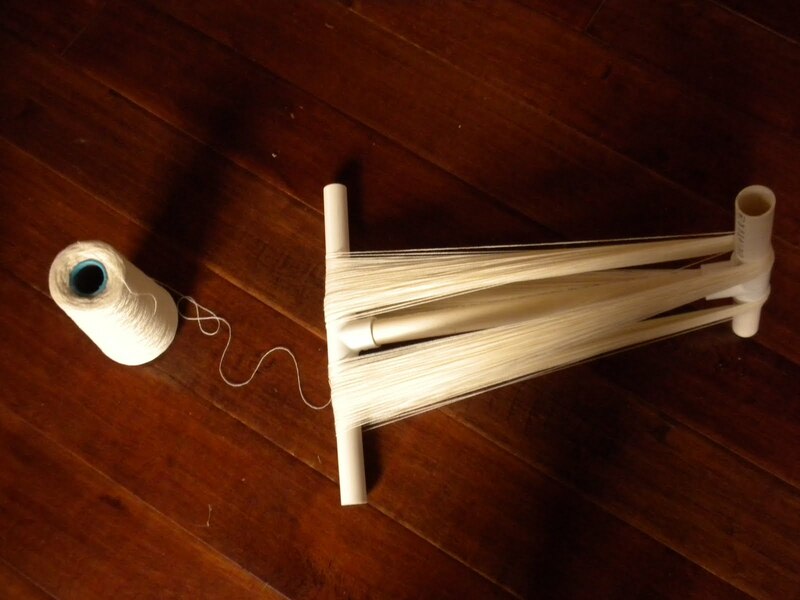 This is all I’m going to show you though….naked merino.